Baby's skin deserves the softest fabrics. That's why our fine-knit leggings are crafted from 100% organically grown cotton – and we added a pretty all-over print. 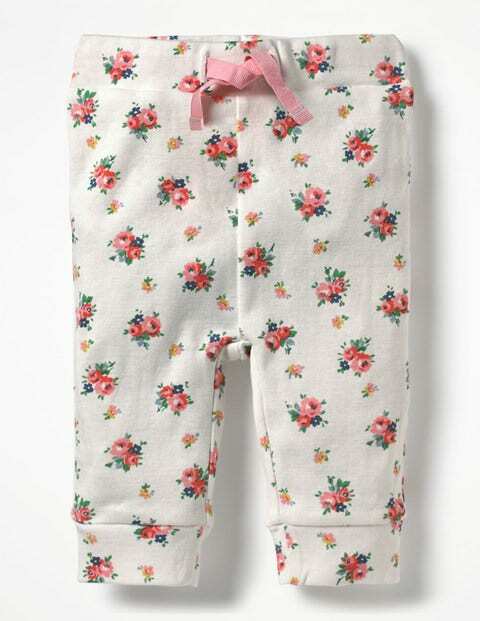 Ribbed cuffs and drawcords prevent them from twisting on wriggly legs (whether it's nap time or dinner time) but they're easy to pull on and off too.